What is the SAP Maintenance planner? 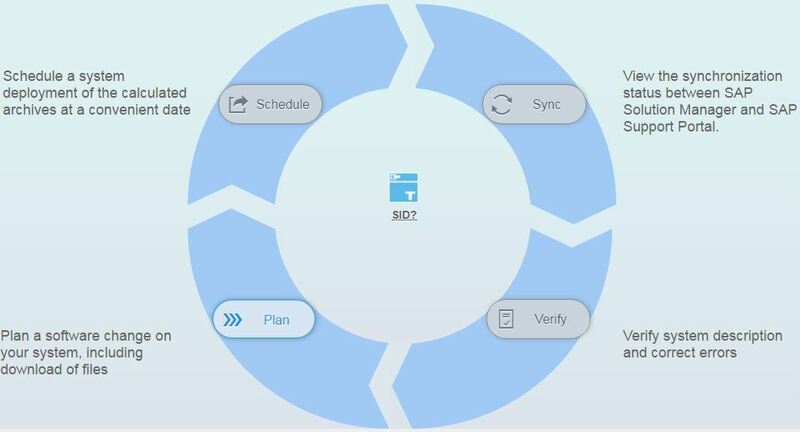 SAP Maintenance Planner is the successor version of the SAP maintenance optimizer, it is introduced on July 2015. SAP Maintenance Planner replaces the SAP maintenance optimizer. Since January 9th 2017 onwards all the customers are advised to use only SAP Maintenance Planner. 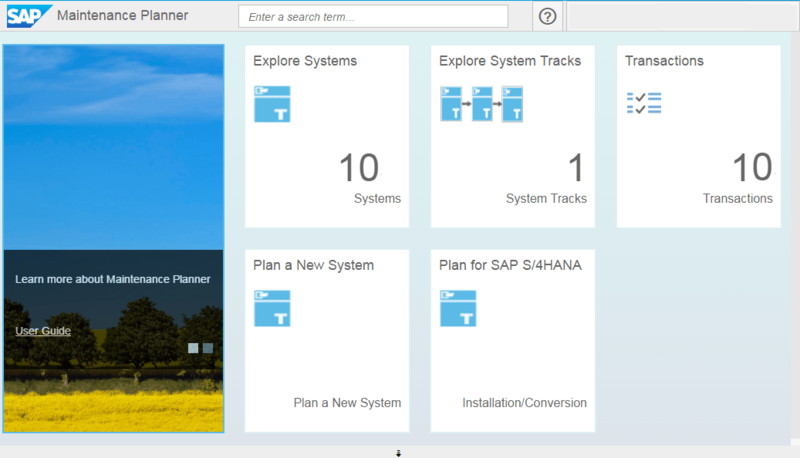 Now SAP Maintenance Planner is the central tool for new installations and upgrades. SAP Maintenance Planner also generates stack XML files like maintenance optimizer that can be consumed by SUM tool and SWMP for upgrades and new installations. Now SAP Maintenance Planner is mandatory to upgrade the systems to SAP EHP 8 for SAP ERP 6.0 based on netweaver release 7.50 or higher. How SAP Maintenance Planner works? SAP Maintenance Planner use the SLD data which is transferred to SAP support portal via LMDB, this data can be called as customer profile. Maintenance Planner uses this customer profile for all its maintenance related and planning activities. What actions we really need to switch to Maintenance planner? Here first you need to know how SAP handles the data for customer landscapes. This is can be classified in three layers. System Landscape Directory (SLD): SLD server as central information repository for all the technical and business systems. It also gathers the information about SAP clients, application components, and hardware components. Every SAP system must be added to the SLD, this is the first place where landscape data management starts. SLD push the data to SAP PI (Process integration) and SAP Solution Manager. SLD always contains the up-to-date information about the installed systems. Landscape Management Database (LMDB): Solution manager LMDB is responsible for managing the system landscape information. LMDB receives as much as possible information from SLD automatically and whenever there is a new update or change in the SLD. LMDB collects the data from SLD and its agents and update the customer profile in SAP Portal. Thus LMDS acts as source for entire landscape. Customer Profile: This data is available at SAP Portal and used by SAP Maintenance Planner for maintenance and planning activities. Customers may have multiple solution manager systems and SLD instances, so please ensures that only the productive solution manager send the data to SAP support portal. If you have multiple solution manager systems with productive role then please disable the automatic landscape fetching jobs in other systems to avoid overlapping the system data. If you don’t want to synchronize any of the technical system to LMDB then please select “Do not synchronize selected technical system” in LMDB > technical system > tab SAP Support Portal. Why all the systems are not accessible in SAP Maintenance Planner? Sometimes we may see as few systems are missing or all the systems are not available in SAP Maintenance Planner, to trouble shoot such cases please perform the below checks. Make sure that SLD is having all system data up-to-date. Checks the status of automatic landscape jobs, if it is not running then please schedule. Maintenance planner gives you the access based on the customer number assigned to your profile. If you are customer is having multiple assignments then make sure that you have access to all the customer numbers in SAP Portal to view the all systems in Maintenance planner. Make sure your Suser mapped correctly in solution manager system in transaction AISUSER. You can use the reports to push the data RPT_CLEAR_SL_CACHE and AI_LMDB_MIG_OSS_SYNC_CONFIG.